Could an economic collapse be in our near future? Climate scientists and others have in the past few years issued a steady stream of analyses showing that without immediate remedial actions, a disastrous future is headed our way. But is it a four-decade-old study that will prove prescient? That study, issued in the 1972 book The Limits to Growth, forecast that industrial output would decline early in the 21st century, followed quickly by a rise in death rates due to reduced provision of services and food that would lead to a dramatic decline in world population. To be specific, per capita industrial output was forecast to decline “precipitously” starting in about 2015. Well, here we are. Despite years of stagnation following the worst economic crash since the Great Depression, things have not gotten that bad. At least not yet. Although the original authors of The Limits to Growth, led by Donella Meadows, caution against tying their predictions too tightly to a specific year, the actual trends of the past four decades are not far off from the what was predicted by the study’s models. A recent paper examining the original 1972 study goes so far as to say that the study’s predictions are well on course to being borne out. That research paper, prepared by a University of Melbourne scientist, Graham Turner, is unambiguously titled “Is Global Collapse Imminent?” As you might guess from the title, Dr. Turner is not terribly optimistic. He is merely the latest researcher to sound alarm bells. Just last month, a revised paper by 19 climate scientists led by James Hansen demonstrates that continued greenhouse-gas emissions will lead to a sea-level rise of several meters in as few as 50 years, increasingly powerful storms and rapid cooling in Europe. Two other recent papers calculate that humanity has already committed itself to a six-meter rise in sea level and a separate group of 18 scientists demonstrated in their study that Earth is crossing multiple points of no return. All the while, governments cling to the idea that “green capitalism” will magically pull humanity out of the frying pan. At least global warming is acknowledged today, even if the world’s governments prescriptions thus far are woefully inadequate. In 1972, the message of The Limits to Growth was far from welcome and widely ridiculed. Adjusting parameters to test various possibilities, the authors ran a dozen scenarios in a global model of the environment and economy, and found that “overshoot and collapse” was inevitable with continued “business as usual”; that is, without significant changes to economic activity. Needless to say, such changes have not occurred. Rising energy costs following global peak oil will make much of the remaining stock uneconomical to exploit. This is a critical forcing point in the collapse scenario. And as more energy is required to extract resources that are more difficult to exploit, the net energy from production continues to fall. John Michael Greer, a writer on peak oil, observes that, just as it takes more energy to produce a steel product than it did a century ago due to the lower quality of iron ore today, more energy is required to produce energy today. The current plunge in oil and gas prices will not be permanent. Speculation on why Saudi Arabia, by far the world’s biggest oil exporter, continues to furiously pump out oil as fast as it can despite the collapse in pricing frequently centers on speculation that the Saudis’ pumping costs are lower than elsewhere and thus can sustain low prices while driving out competitors who must operate in the red at such prices. If this scenario pans out, a shortage of oil will eventually materialize, driving the price up again. But the difficult economics will not have disappeared; all the easy sources of petroleum have long since been tapped. And the sources for the recent boom — tar sands and fracking — are heavy contributors to global warming, another looming danger. The case for catastrophic climate disruption due to global warming is far better understood today than it was in 1972 — and we are already experiencing its effects. Sobering indeed. Left unsaid (and, as always, there is no criticism intended in noting a research paper not going outside its parameters) is why so little has been done to head off a looming global catastrophe. Free of constraints, it is not difficult to quantify those “powerful societal forces” as the biggest industrialists and financiers in the world capitalist system. As long as we have an economic system that allows private capital to accumulate without limit on a finite planet, and externalize the costs, in a system that requires endless growth, there is no real prospect of making the drastic changes necessary to head off a very painful future. Just because a study was conducted decades in the past does not mean we can’t learn from it, even with a measure of skepticism toward peak-oil fast-collapse scenarios. If we reach still further back in time, Rosa Luxemburg’s words haunt us still: Socialism or barbarism. Most of the cost of fossil fuels is hidden because environmental harms such as pollution and global warming are kept outside ordinary economic calculation. Energy companies externalize these costs (among others) — that is, they don’t pay them. The public does. And we do, to a remarkable extent. When we think of corporate subsidies, we naturally think of taxes not paid, real estate giveaways and other ways of taking money from the public and shoveling it into corporate coffers. Then there are the environmental costs, something prominent if we are talking about fossil fuels. These, too, should be thought of as subsidies since these constitute costs paid by the public. A first attempt at seriously quantifying the magnitude of the totality of subsidies given to fossil fuels leads to a conclusion that the total for 2014 was US$5.6 trillion, a total expected to be matched in 2015. Yes, you read that correctly: 5.6 trillion dollars. As in 5.6 million million. Or, to put it another way, more than seven percent of gross world product. When the costs are broken down by forms of energy, it is no surprise that coal is the most subsidized form. Coal subsidies alone total almost four percent of global GDP, according to the paper, with “no country … impos[ing] meaningful taxes on coal use from an environmental perspective.” Petroleum is also heavily subsidized. If we could at a stroke eliminate all forms of fossil fuel subsidies, the gains would be significant. The authors believe that global revenue gains would be $2.9 trillion for 2015, a total less than the current cost of subsidies because it accounts for a reduction in energy usage from higher prices and an assumption that some tax money would be used for emission-control technologies. The authors also calculate a $1.8 trillion net gain in social welfare, a gain that could be increased were this gain used to invest in education, health and other public benefits. So if so much good can come from rationalizing the fossil fuel industry, why does this sound like an impossible dream? Unfortunately, in real world of capitalism, there is very little to prevent corporations from externalizing their costs. With increased corporate globalization, capital can pick up and move at will, inducing political office holders to hand out subsidies, waive taxes and refuse to enforce safety and environmental laws. They do this because the alternative is for corporations to move elsewhere in a never-ending search for the lowest wages and weakest regulations with an accompanying disappearance of jobs. And this globalization, fueled by “free trade” agreements that arise from relentless competition, aggravates global warming as components are shipped around the world for assembly into finished products that are shipped back, greatly adding to the environmental damage imposed by transportation. The International Monetary Fund paper does offer a brief discussion of social disruptions should fossil-fuel subsidies be removed, suggesting a need for “transitory” programs such as worker retraining and protection of vulnerable groups. [page 31] But their proposed program centers on environmental taxes as a way to align fossil fuels with their costs to make energy prices “efficient.” Certainly, polluters and causers of global warming should be required to absorb those costs. But given that market forces tilt overwhelmingly in favor of large polluters, the fact of massive imbalances in power, and that governments have handcuffed themselves in terms of confronting capital (a trend itself a product of market forces), it is unrealistic to believe such a program is currently politically feasible. The disruptions to a capitalist economy with a forced large reduction in energy usage are also significant. It is not only that a capitalist economy can’t function without growing (and a growing economy uses more, not less, energy, especially because of ever more complex machinery and lengthening supply chains), but that a capitalist economy doesn’t offer millions of workers who lose their jobs new work in new industries. Every incentive under capitalism is for more energy usage; thus “the market” will object to dramatically higher energy prices, no matter how rational those higher prices. Ultimately, the authors of the IMF paper are trapped in the same inability to imagine anything outside the present capitalist system, similar to those who claim that stopping global warming will be virtually cost-free. Their paper has done a necessary service by providing the first real quantification of the gigantic costs of fossil fuels and the massive subsidies they receive. Subsidies for renewable energy, in comparison, are minuscule. The massive subsidies for nuclear energy, which is a complete failure on any rational economic basis before we even get to the physical dangers, demonstrate that nuclear is no solution, either. These should also be eliminated. The size of the social movement that would be necessary to eliminate all these subsidies would be enormous. Why should such a movement ask for mere reforms that fall well short of what is necessary, worthy as they would be. Energy is too important not to be put in public hands. The trillions of dollars of fossil fuel subsidies are the logical product of allowing private interests to control critical resources for private profit and leaving “the market” to dictate outcomes. Denmark has distinguished itself as the country moving the fastest toward the eventual replacement of fossil fuels. Its goal of 100 percent renewable energy by 2050 is laudable, but the assumption that this path will reverse global warming while otherwise continuing business as usual, is unrealistic. At first glance, Denmark has made remarkable strides. The country’s intention to totally eliminate fossil fuels by the midpoint of the 21st century appears to be realistic. Already, Denmark is the world leader in wind energy and it intends to also exclude all use of nuclear power. At the start of 2015, the country’s energy agency, Energistyrelsen, said renewable energy sources account for 25 percent of Denmark’s total energy consumption, and more than 40 percent of its electricity comes from renewable sources. “Business … stands a great chance to move into the heavy league of successful super green companies. For instance, the energy efficiency measures a company makes are often paid back within [a] few years. Onwards, the savings on the energy bill can be unleashed to strengthen the core business of the company. Likewise, there is an enormous global market for green technology, services and systems. This market is only going to grow once more governments follow in the carbon-light footsteps of Denmark. Too good to be true? Unfortunately, yes. That global warming and the accelerating damage to the global environment can be reversed without cost — and without any alteration to the high-impact consumerism of the global North’s advanced capitalist countries — echoes the unrealistic conclusions of the Intergovernmental Panel on Climate Change report issued last year. The IPCC concluded the annual reduction in “consumption growth” on a global basis would be only 0.06 percent during the course of the 21st century. Nothing more than a statistical blip! In actuality, the IPCC assertion that we can remain on the path of endless growth is a fantasy argument that we can have our cake and not only eat it but make more cakes and eat them, too. When we look past the cheerleading for a bright renewable future, two problems immediately pop up: Renewable energy is not necessarily clean nor without contributions to global warming, and the limits that living on a finite planet with finite resources presents are all the more acute in an economic system that requires endless growth. Denmark’s phaseout of oil, gas and coal is dependent on wind power and biomass, and to a lesser degree on solar energy. But just because energy from biomass is classified as renewable, that doesn’t make it sustainable or environmentally friendly. Denmark is the biggest per capita user of bioenergy, with Germany and Britain significant users as well. But the primary source of bioenergy is wood, and much of this wood must be imported. British plans for expanding bioenergy, if brought to fruition, could consume nine times more wood than can be supplied internally. Denmark is already a heavy importer of wood pellets. Wind energy has its environmental issues as well. The turbines used to produce electricity from wind increasingly are built with the “rare earth” element neodymium, which requires a highly toxic process to produce. Turbine magnets using neodymium are more expensive than those using ceramic, but are also more efficient. The U.S. Geological Survey estimates that an additional 380 metric tons of neodymium would be necessary if the United States is to generate 20 percent of its electricity from wind by 2030. That’s just one country. Increased efficiency in energy usage hasn’t resulted in decreases in greenhouse-gas emissions. A study by 10 scientists led by Josep G. Canadell found that the growth rate of atmospheric carbon dioxide is increasing. The growth rate in anthropogenic carbon dioxide was higher in the 2000s than in the 1990s. Not only has economic growth contributed to this rate increase, but the carbon intensity of gross world product began to increase during the decade of the 2000s. Adding to this sobering picture, the efficiency of natural carbon sinks (such as forests and oceans that remove carbon dioxide from the atmosphere) is declining. The study said a growing global economy, an increase in the carbon emissions required to produce each unit of economic activity, and a decreasing efficiency of carbon sinks on land and in oceans have combined to produce unprecedented increases in atmospheric carbon dioxide. The conclusion necessary to be drawn isn’t that we shouldn’t switch from fossil fuels to renewable energy sources as quickly as reasonably possible. Of course that should be done. But it is a delusion to believe that doing so in itself is a magic wand to wish away the growing crises of global warming, environmental degradation and resource depletion. There is no alternative to drastically reducing consumption of energy and material goods, an impossibility under capitalism, and bringing into existence a sustainable economic system. All incentives in capitalism are for endless growth; it can’t function without it. Because of this expansionary imperative, that production is for private profit rather than human need and that enterprises are able to externalize environmental costs, decreases in energy prices are an incentive to increase energy usage, which is what has been happening. An economy that must expand will do so — introducing efficiencies can slow down the increase in energy consumption and resource depletion, but an ever expanding economy will ultimately use more energy, more resources. A former White House Council of Economic Advisers chair, Christina Romer, says that economic growth of 2.5 percent is necessary to maintain the unemployment rate where it is and “substantially stronger growth than that” is necessary for a rapid decrease. In addition, energy usage due to transportation is increased from the movement of production to countries around the globe. Raw materials and component parts are shipped from all over the world to an assembly point, then the finished products are transported back. This enormous contribution to global warming is another product of capitalism, specifically the dynamic of relentless competition that induces corporations to move production to the places with the lowest wages and weakest regulation, and to stretch supply lines around the world. These competitive “innovations” must be copied by competitors, thus increasing this tendency. (And are a catalyst for “free trade” agreements that incentivize the expansion of trans-national rootlessness.) As the depletion of natural resources accelerates, an inevitable byproduct of competitive pressures and the never-ending scramble for bigger profits, more energy and capital will be required to extract resources more difficult to exploit. Carrying on with business as usual, with changes to the mix of energy production, is an illusion that “green capitalism” will save the world. Liberals and social democrats, in their own way, can be as unrealistic as conservatives. Conservatives correctly see that measures to combat global warming will come with a cost, so they screech that global warming doesn’t exist, despite the enormity of the evidence all around us. Liberals and social democrats readily acknowledge the real danger of global warming but, no more willing to tamper with the machinery of capitalism than conservatives, promise that the changes will be cost-free. The changes won’t be. But the cost of doing nothing, of letting a runaway global warming take hold — the very path humanity is treading — will be much higher. The limits of the planet, of nature, will assert themselves. Yielding to natural limits now will come with much disruption, but having limits imposed on us in the future will surely be much worse. Eight weeks ago, I wrote about the delusions of “green capitalism,” that there is no alternative to a dramatic change in the organization of the global economy. That led to a vigorous discussion, and I thank all of you who contributed to it. “Green capitalism” is “doomed from the start” because maximizing profit and environmentalism are broadly in conflict; the occasional time when they might be in harmony are rare exceptions and temporary. This is because the managers of corporations are answerable to private owners and shareholders, not to society. Profit maximization trumps all else under capitalism and thereby sets the limits to ecological reform. Green-capitalism proponents vastly underestimate the speed with which environmental collapse is coming. No amount of tinkering can alter the course of environmental destruction under the present system. Humanity, therefore, must replace capitalism with a post-capitalist ecologically sustainable economy. Resource extraction is inherently polluting but can’t be shut without chaos. It is not possible to “dematerialize” much of the economy as green-capitalism proponents believe possible. The only way to reduce greenhouse-gas emissions is to “enforce a drastic contraction of production in the industrialized countries.” Such a thing is not possible in capitalism because the affected industries would be committing suicide to agree to this and nobody would promise jobs to those displaced; this could only be carried out through a socialization of industry and a redeployment of labor to sectors that need to be developed for social good. Consumerism and over-consumption are not “cultural” or the result of personal characteristics — they are a natural consequence of capitalism and built into the system. Problems like global warming and other aspects of the world environmental crisis can only be solved on a global level through democratic control of the economy, not by individual consumer choices or by national governments. A part of Moofushi’s bleached coral reef (Alifu Dhaalu Atoll, Maldives), damaged by warming sea temperatures. Some advocates of cap-and-trade or carbon taxes in the United States try to get around industry pushback by advocating they be made “revenue-neutral.” But if “carbon tax offsets are revenue neutral, then they are also ‘impact neutral,’ ” Dr. Smith writes. That brings us back to the reality that imposing drastic cuts would be the only way to effect the significant reductions in greenhouse-gas emissions necessary to prevent catastrophic global warming in coming decades. That, in turn, can’t be done without massive dislocation. Yet reductions are not only necessary, but will be required by physical limits — the world’s population is using the resources at the rate of 1.5 Earths and the United Nations predicts we’ll be using two Earths by 2030. Moreover, if all the world’s peoples used resources at the rate that the United States does, “we would need 5.3 planets to support all this.” Needless to say, we have only one Earth available. Those electric vehicles are only as “clean” as the source of electricity used to power them. Many plug-in electric vehicles are coal-powered vehicles because coal is a common source of electricity. Looking at it holistically, such an electric vehicle would be more polluting than a gasoline-fueled vehicle; and the majority of the pollution from the manufacturing (for the vehicle itself) would be there just the same. Then there is the pollution and greenhouse-gas emissions of the electric-car battery. Nickel is a primary input; the Russian city that is the site of the world’s largest source of nickel, Norilsk, is one of the world’s most polluted places. Planned obsolescence is part of the problem, across the spectrum of manufactured products. Capitalist manufacturers don’t want products that last a long time; repeatedly selling new products is far more profitable. But it would be overly simplistic to lay full blame for this on greed, however much greed is rewarded by a capitalist economy. Household consumption — all the things that people buy for personal use from toothbrushes to automobiles — accounts for 60 to 70 percent of gross domestic product in almost all advanced capitalist countries. If people aren’t buying things, the economy struggles. Proponents of green capitalism fail to grasp the structural causes of over-consumption. However much better for the environment, and the world’s future, drastic reductions in consumerism would be, moral exhortations can’t be effective. Trapped in an idealist mirage that capitalism can be “tamed” or “repurposed,” green capitalists, through seeking individual solutions to structural and systemic problems, not only miss the forest for the trees but leave the economic structure responsible untouched. People in the global North should consume less, but to place the blame on individual behavior lets the manufacturers of useless products off the hook and is blind to the economic realities should the system be left in place intact. There is no way out other than replacing capitalism with a steady-state economy based on meeting human needs, and that could only be attained through bottom-up, democratic control. No one promises new jobs to those who would be displaced under capitalism; logically, then, those who jobs and ability to earn a living is dependent on polluting or wasteful industries resist environmental initiatives. The wholesale changes that are necessary to prevent a global environmental catastrophe can’t be accomplished under the present economic system; it would require a different system with the flexibility to re-deploy labor in large numbers when industries are reduced or eliminated, and one that would have no need to grow. Inequality would have to be eliminated for any kind of global democratic economy to be able to function. Richard Smith pronounces this “a tall order to be sure.” That it is. But with many world cities, and entire countries, at risk of becoming inhabitable due to rising sea levels, more erratic weather and an accelerated timetable to deplete the world’s resources, what choice do we have? Green capitalism is not only not green, it is worse than illusion because of the false hope it dangles in front of our eyes. Green capitalism is destined to fail: You can’t keep doing the same thing and expect different results. We can’t shop our way out of global warming nor are there technological magic wands that will save us. There is no alternative to a dramatic change in the organization of the global economy and consumption patterns. Such a change will not come without costs — but the costs of doing nothing, of allowing global warming to precede is far greater. Therefore it is healthy to approach with a dose of skepticism the Intergovernmental Panel on Climate Change (IPCC) report that concludes the annual reduction in “consumption growth” on a global basis would be only 0.06 percent during the course of the 21st century. Almost nothing! This estimated cost is what the IPCC believes is what would be required to hold the atmospheric concentration of carbon dioxide equivalent to 450 parts per million, the level at which the IPCC believes total global warming would be 2 degrees Celsius by the year 2100, which in turn is seen as the maximum temperature rise to avoid catastrophic damage to Earth. Let’s unpack those last two paragraphs. In sum, what the IPCC panel is asserting is that the cost of bringing global warming under control will be negligible, no more than a blip noticed only by statisticians. And, best of all, there need be no fundamental change to the world’s economic structures — we can remain on the path of endless growth. We can have our cake and not only eat it but make more cakes and eat them, too. Alas, there are no free lunches nor limitless cakes. Hundreds of climate scientists from around the world (collectively, the “IPCC Working Group III”) contributed to the report, but it does appear to have been watered down to some extent for political reasons. Indeed, the Mitigation 2014 web site’s front page says the Summary for Policymakers “has been approved line by line by member governments.” Since most of the world’s governments are reluctant to do very little more than talk about global warming, a note of caution is surely warranted. Many of the world’s cities would be underwater, or well on their way to being underwater, should such heating occur. The temperature range of the preceding paragraph represents atmospheric concentrations of 750 to 1,300 parts per million of carbon dioxide equivalent. To instead hold that concentration to 450 parts per million will require a monumental undertaking — the concentration is already 400 ppm. The IPCC thus concludes that the level of greenhouse-gas gases will actually rise above the 450 mark, then brought down to that level under its scenario for capping the concentration at 450 ppm in 2100. Further rapid improvements of energy efficiency. Reduce the carbon intensity of electricity generation. Increase the use of renewable energy technologies, which would require subsidies. Increased use of nuclear energy. The development of carbon dioxide capture and storage technology, in particular “bioenergy with carbon dioxide capture and storage” (BECCS) by the year 2050. The last of these, in particular BECCS, is the key to the IPCC’s belief that techno-fixes are the way to save the day. But there is ample reason to throw cold water on this optimism. BECCS is defined as the capture and sequestration of the carbon produced by bioenergy processes. The carbon dioxide would be “captured” before it escapes into the atmosphere and “permanently” stored underground or underwater, thereby removing it from the air and negating its greenhouse effects. One problem with BECCS is that the technology is not yet viable. Another is that the very idea that BECCS would lead to reduced atmospheric carbon dioxide is a false premise. The problem here is far deeper than wishful thinking. Optimistic scenarios such as the IPCC report rest on assumptions that the world can reduce its greenhouse-gas emissions, cut pollution and enjoy another century of consumer-fueled economic growth while business as usual goes on. But that is not possible. The capitalist system requires continual growth, which means expansion of production. Its internal logic also means that its incentives are to use more energy and inputs when more efficiency is achieved — the paradox that more energy is consumed instead of less when the cost drops. Because production is for private profit, growth is necessary to maintain profitability — and continually increasing profitability is the actual goal. If a corporation doesn’t expand, its competitor will and put it out of business. Because of the built-in pressure to maintain profits in the face of relentless competition, corporations continually must reduce costs, employee wages not excepted. Production is moved to low-wage countries with fewer regulations, enabling not only more pollution but driving up energy and carbon-dioxide costs with the need for transportation across greater distances. Economic growth of 2.5 percent is necessary simply to maintain the unemployment rate where it is and “substantially stronger growth than that” is necessary for a rapid decrease, according to a former White House Council of Economic Advisers chair, Christina Romer. The structural necessity of continual expansion is expressed in the mandate of corporations with stock traded on exchanges to maximize profits on behalf of their shareholders above all other considerations. There are well-meaning people who wag their fingers at “excesses” of corporate plunder and claim that the focus on shareholders is not necessary, but in reply one need only observe how swiftly financiers punish companies that fail to meet expectations and the frequency with which “enhancing shareholder value” is listed by corporations as their reason for existence. Putting the environment first in a capitalist economy is not realistic, and doing so anyway would be very costly due to capitalist dynamics. The IPCC is taking a head-in-the-sand approach with its claim that reversing global warming will be nearly cost-free. The more honest approach would be to acknowledge the high cost of saving the planet — and that the cost of not doing so, of continuing business as usual, will be far greater. The European Commission estimates the cost of global warming in Europe could reach four percent of gross domestic product and estimates that almost 350,000 people per year will be displaced by flooding by mid-century. The National Resources Defense Council estimated that the U.S. government spent about $100 billion cleaning up natural disasters in 2012 — one-sixth of the federal budget’s non-defense discretionary spending and three times what private insurers paid out. Fifty billion tons of carbon dioxide equivalent is being thrown into the atmosphere yearly, and a U.S. government working group estimates each ton will cause $37 in future harms in today’s dollars. And what would the cost be of abandoning many of the world’s cities if the ice caps melt? Of the world’s bread baskets turning into deserts? Of dead oceans? Such costs are not calculated by the IPCC. The IPCC’s flawed approach does not derive from whatever political pressures have been exerted on it. The fundamental issue is that it can’t imagine a world without capitalism. It has much company in that. But a future in which we live in harmony with nature, rather than destroying nature for profit, can only be a very different world. Quite an insult: Subsidies prop up an industry that points a dagger at the heart of the communities where ever it operates. The building of nuclear power plants drastically slowed after the disasters at Three Mile Island and Chernobyl, so it is at a minimum reckless that the latest attempt to resuscitate nuclear power pushes forward heedless of Fukushima’s continuing discharge of radioactive materials into the air, soil and ocean. Subsidies at inception, reducing capital costs and operating costs. Accounting rules allowing companies to write down capital costs after cost overruns, cancelations and plant abandonments, reducing capital-recovery requirements. Recovery of “stranded costs” (costs to a utility’s assets because of new regulations or a deregulated market) passed on to rate payers. Numerous research papers paint a fuller picture. 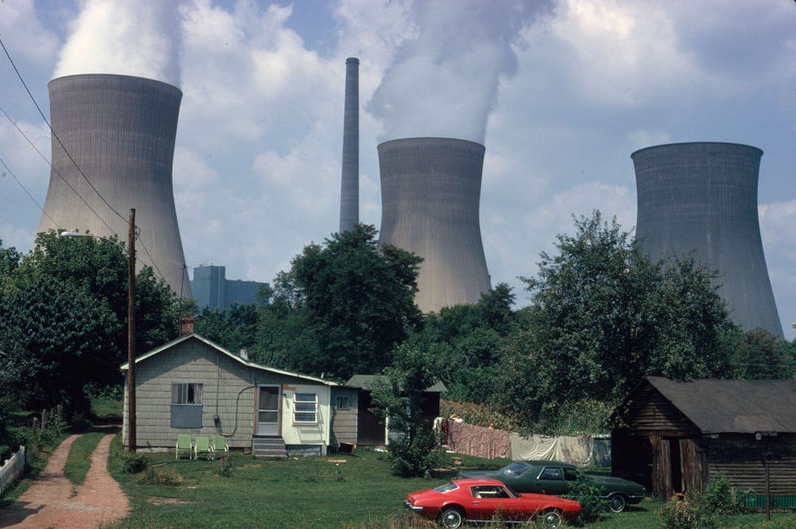 A Congressional Research Service report found that nuclear power had received $74 billion for research and development by the U.S. government for the period 1948 to 1998, more than all such money given for fossil fuels, renewables and energy efficiency combined. • The two new Vogtle reactors in Georgia are already $900 million over budget although their completion date is four years away. The largest owner, Southern Company, has received $8.3 billion in federal loan guarantees. Overruns at this plant are not unprecedented; the two existing reactors cost $8.7 billion instead of the promised $600 million, resulting in higher electricity rates. 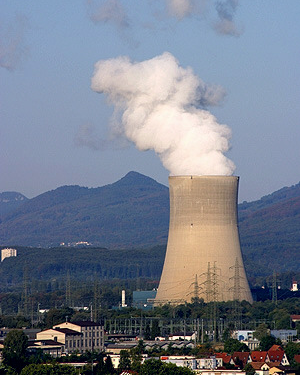 • The Watts Bar 2 nuclear reactor in Tennessee has seen its cost rise to $4.5 billion from $2.5 billion. (This is technically a restart of a unit on which construction was suspended in 1985.) The existing reactor at this site has a history of safety problems. • The Summer 2 and 3 reactors being built in South Carolina have already caused rate payers there to endure a series of rate increases. • In October 2013, British authorities approved a new nuclear reactor at Hinkley Point, England, that features subsidies designed to give the owner, Électricité de France, a guaranteed 10 percent rate of return on the project. Power from the plant will be sold at a fixed price, indexed to the consumer inflation rate. In other words, The Independent reports, “should the market price fall below that [agreed-upon] level the Government would make up the difference.” The agreed-upon fixed price is currently double the wholesale price for electricity. • Olkiluoto-3 in Finland was supposed to have cost €3 billion, but by August 2009 its price had risen to €5.3 billion.